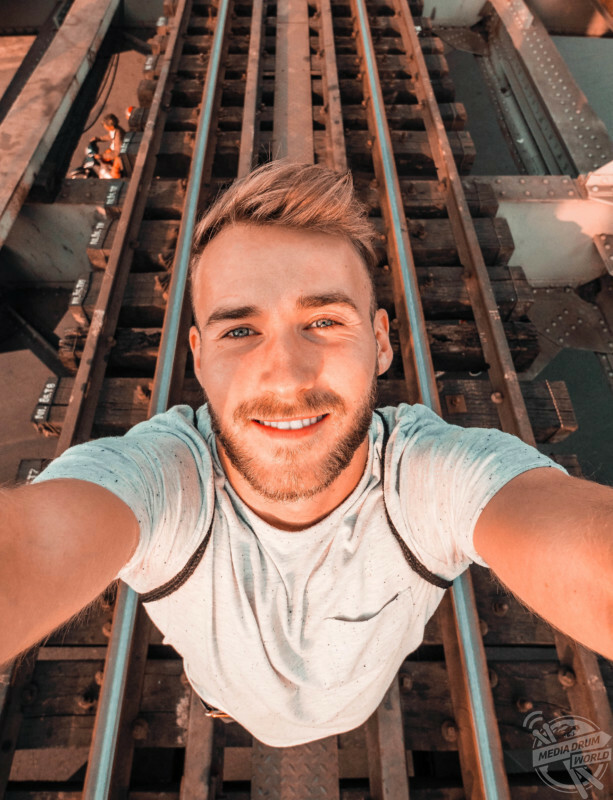 MEET THE CLEVER millennial who sold everything he owned to invest in crypto-currency with the profits allowing him and his girlfriend to become fulltime global travellers with a monthly budget of £2,000. Incredible images show Jonas Hornehøj (24) in a variety of exotic locations as he documents his envious lifestyle. He was pulling in a monthly salary of around £1,300 per month with part-time bar work but decided to sell everything he could and hit the road after becoming desperate for change. The Copenhagen native explained how he left Europe with around £1,400 ($2,000) in his bank account but invested £700 ($1,000) in crypto currency which has funded both his and his girlfriend’s, Alica Cechvalova (25), travels with a monthly budget of around £1400-£2000 per month. Now he speculates in the crypto-currency market while touring the planet. “I sold all belongings I could – couch, bed, cupboards, TV, shoes (I love sneakers), Playstation – anything I could sell online, I did,” he said. “I wanted to get rid of the thought of that life will be a 9-5 – I knew years ago that that wasn’t the life for me. With that in mind, this seemed like the best possible time for me to set off. “I still have student debts, I still have debt in my bank, but I wasn’t concerned about any of that, because I believe in myself. The timing seemed right, my mind was where it needed to be, and things were looking positive. “I didn’t have much money saved up at all, however, some of the money that I did save up in summer went into crypto currency. “Now that is not something I promote as a way of making money simply because it’s so easy to either shoot it down as a Ponzi scheme or as a bubble or a wild gamble, however, with research, I found out a lot about the technology, the crypto space as a whole, and the implications it can have positively on the world. “I believe in it, very firmly, despite all of the negativity all over the media, despite the massive 65% drops in prices in quarter one of 2018. I have nothing but faith in the space. I do believe that the valuations are currently based on an idea as opposed to real value, and that the market is currently working at figuring out what realistic valuation levels are. “However, I am still a very firm believer of the tech, the space in general, and I am still invested. I started off with a $1,000 investment in July, and when I set off and left Europe, I had my investments, plus around $2,000 in “cash” (in my account). “The fact that I was progressively doing my research, studying, learning market behaviour and market psychology, left me in a winning position where the profits actually have funded both me and my girlfriend thus far almost entirely. “It’s very hard for me to say how much i made from my initial investment due to the nature of my investing, but I can say that it has single-handedly financed a vast majority of this trip. “I don’t feel comfortable sharing the numbers to be honest, but $1000 dollar investment, has allowed us to travel for six months, and I am still considerably invested. Jonas’ faith in crypto currency has allowed him to travel for the last six months, visiting the Philippines and Indonesia twice as well as Thailand, Bali, Vietnam and more than 40 islands. The fulltime traveller is currently in Hanoi, Vietnam and has no plans to make a permanent base anywhere anytime soon. “In the future I would like to explore more of where I’m from,” he said. “There are so many beautiful places in Denmark that have only come to my attention after leaving. Travelling has showed me that every place truly has its own form of beauty, and I plan to explore Denmark a lot more than I have before. “I would like to see more of Indonesia, the Philippines, Myanmar, Japan, Nepal, Korea, China; the list for Asia is endless. Jonas estimates he has clocked up around 20-25k air miles during his journey as well as another 5-10k miles by land and sea. The adventurer has 10k followers on his Instagram, @thefreedomcomplex, and had a message for anyone wishing to follow in his footsteps. “What I love is the uncertainty, the lack of a “safety net”, the compelling drive to succeed on our own, to make it work for another week, another month, the constant need for progression in order to succeed,” he added. “I want to inspire others to travel and learn from my mistakes and my successes as a complete beginner who started from zero with a social media account. I didn’t pick up photography until a few years ago, and I only got really into it in the last year or so. “In the past six months of travelling, I have learned more about myself, about the world, about “real life”, than I have in the other 23.5 years of my life, and I wouldn’t replace this experience with anything else.